If there’s one thing that frequent entertaining has taught me, it’s how to whip up a good party appetizer. In my books a good app has to be tasty, easy to make, and easy to eat (if you need a fork, it’s out!). 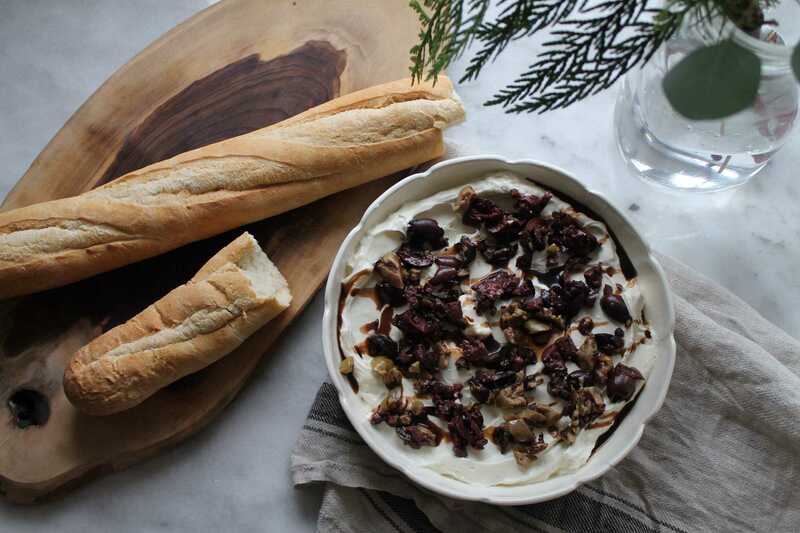 So I’m thrilled to join this holiday appetizer recipe hop. Many of my favourite bloggers are taking part in this so I know the recipes are going to be fantastic! 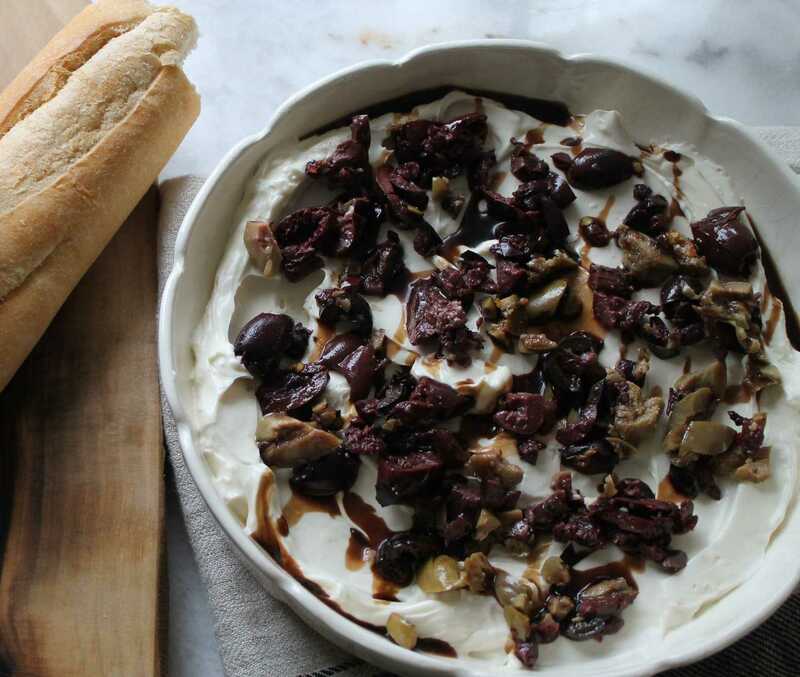 Olives and cheese account for two of my four major food groups (coffee and chocolate make up the rest) and this recipes brings them together in a perfectly dippable, spreadable appetizer that makes it easy to eat more of my favourite foods. Stir in the garlic and olive oil or brine. Spread mixture in a shallow bowl or plate. 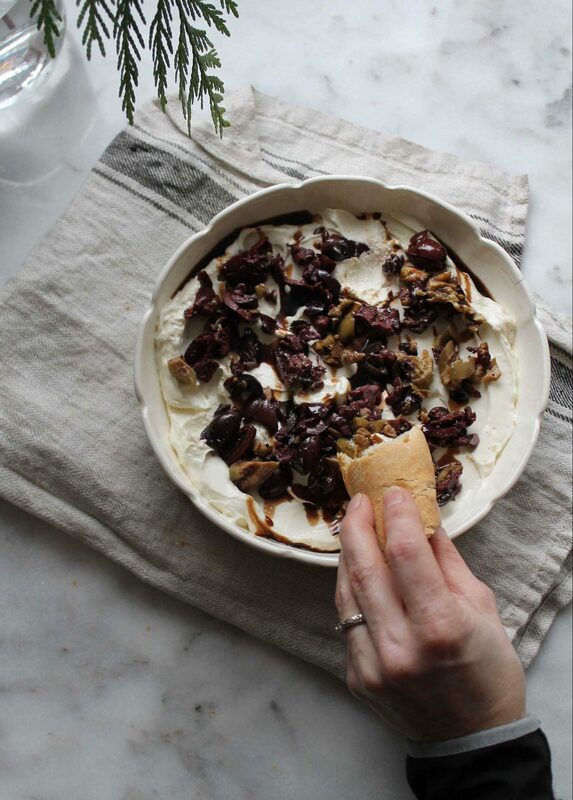 Drizzle balsamic over top and serve with crackers or bread. Even non-olive eaters have been converted with this easy hors d’oeuvre. 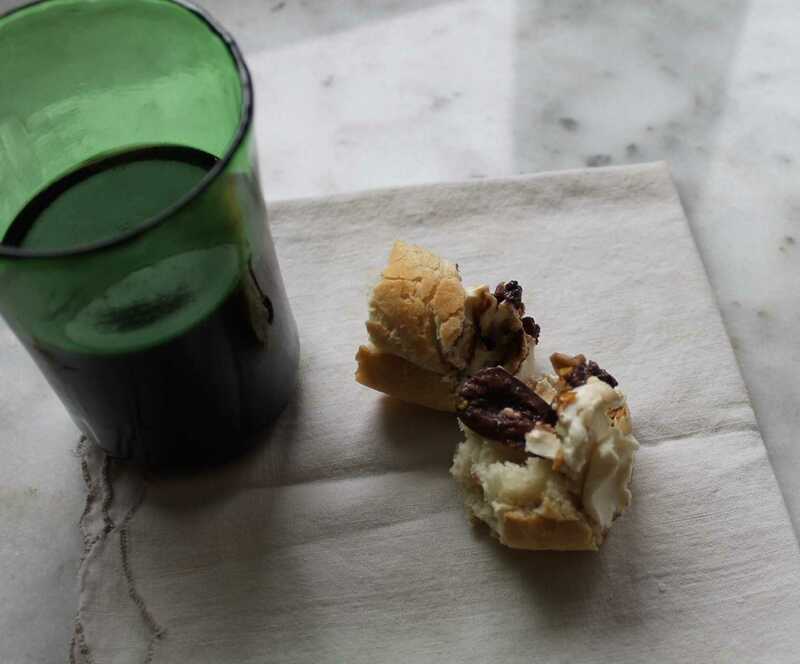 Wishing you a holiday season of easy entertaining and delicious snacking! 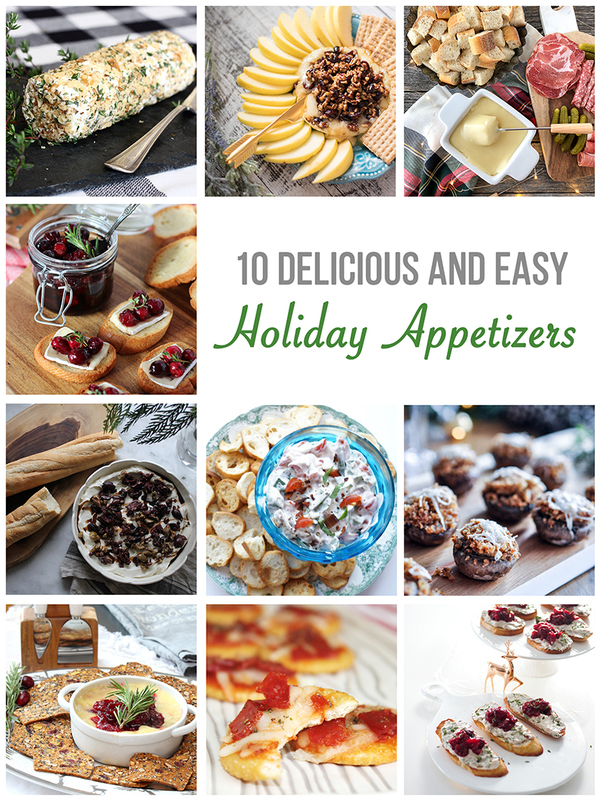 For more delicious holiday entertaining recipes be sure to click on the links below – these ladies know how to make easy appetizers look impressive! Special thanks to Jo-Anna from A Pretty Life, for putting this together. Next > I’ll Have a Blue Christmas . . . This dip looks delicious Beth Ann! And so perfect for the holiday season. Your photos are gorgeous! All these cheese appies are so delicious looking! 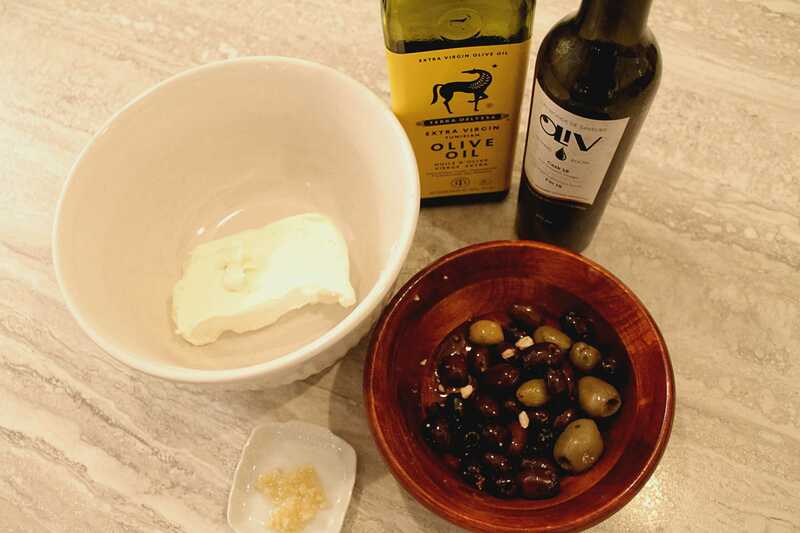 Yours has all my favourite bits – olives and garlic! Thanks! A party isn’t a party without olives! Pingback: Ritz Pizza Crackers or Make Them Gluten Free Glutino Pizza Crackers!